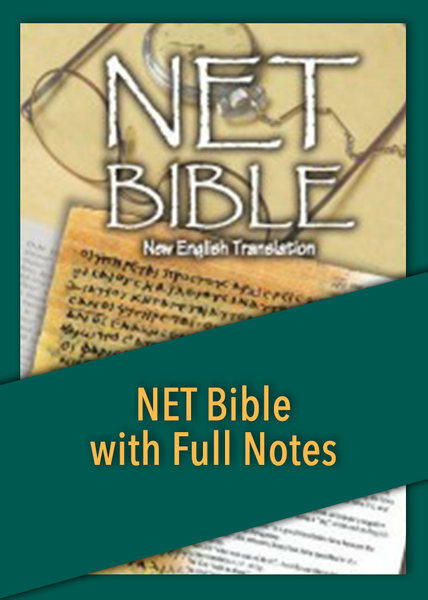 The New English Translation, or NET Bible®, is a unique Bible translation, with extensive notes explaining choices made by the translators and amplifying on biblical terms and concepts. A modern translation based entirely on the original languages of the Bible, the NET Bible® has been updated and revised, and is now available as the First Edition. Included are almost 60,000 translator notes based on the original Hebrew, Aramaic, and Greek texts, as well as more than 700 references to scholarly works. The level of detail provided by the notes may be unparalleled. Users will appreciate being able to achieve deeper understanding of biblical truths as they explore this translation and its copious notes with The Bible Study App. A free version of the NET Bible® with limited notes is also available.